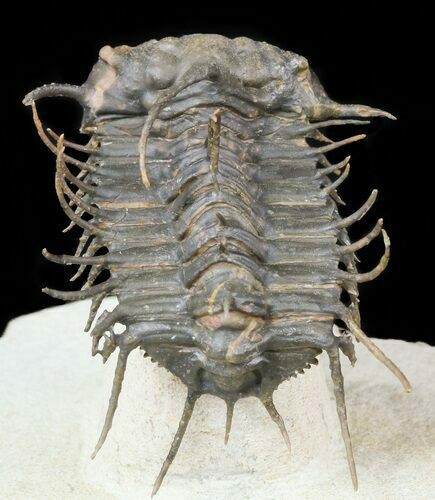 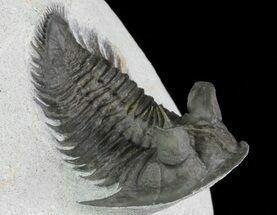 This is a very large, 2.1" Koneprusia trilobite from the Timrhanrhart Formation near Foum Zguid, Morocco. 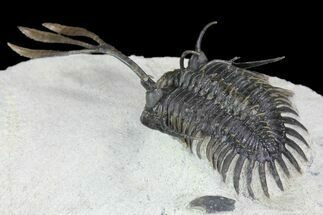 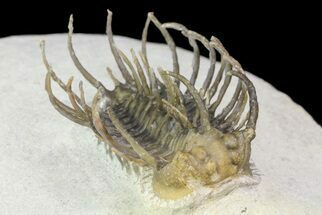 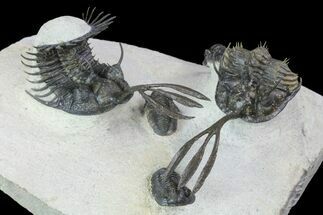 Nearly all of the spines have been prepared free standing and the trilobite, left "flying" on a pedestal of limestone creating a very spectacular display. 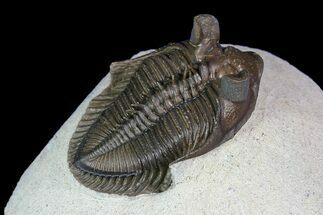 The Tail is tucked under slightly and there is some minor separation between the segments, but it is huge for the species. 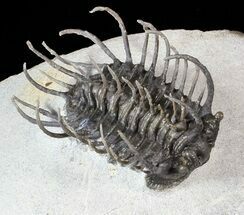 No significant restoration.